The Health Services Building on the University of Kentucky campus provides a location for faculty, staff, and students to receive convenient healthcare. The four-story building includes clinical functions of Primary Care, Gynecology, Nursing/Employee Health, Mental Health, and Prevention, as well as spaces for Reception, Check-in, Billing, Triage, Pharmacy, and other Administrative support functions. Given the health services provided in this facility, special concern to accessibility and HIPAA rules were accommodated from check-in to check-out. 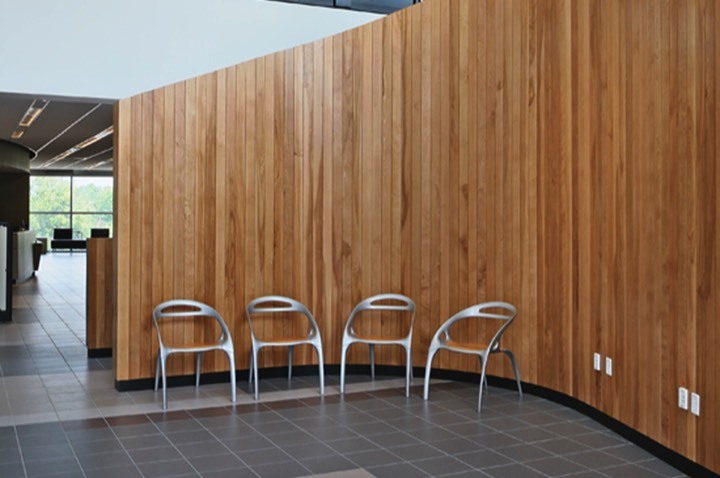 Concepts were planned to reduce student anxiety by providing an aesthetically appealing environment with spacious atrium waiting-reception areas. 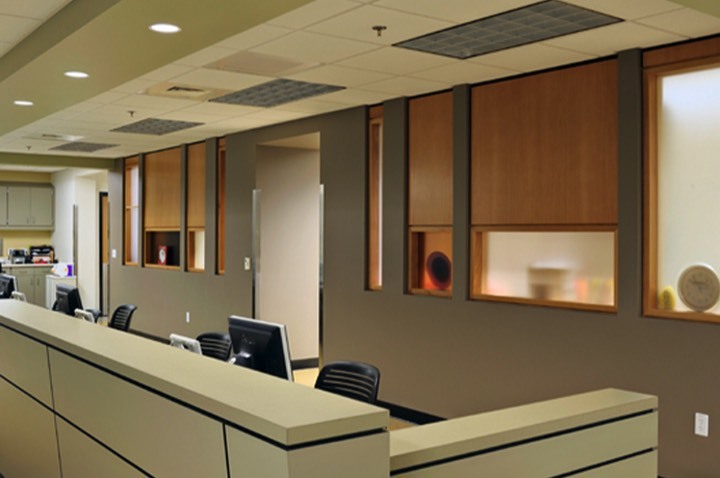 Offices were placed on the building’s perimeter to optimize natural day light concepts and views, while keeping the non-windowed exam rooms within the facility’s core. 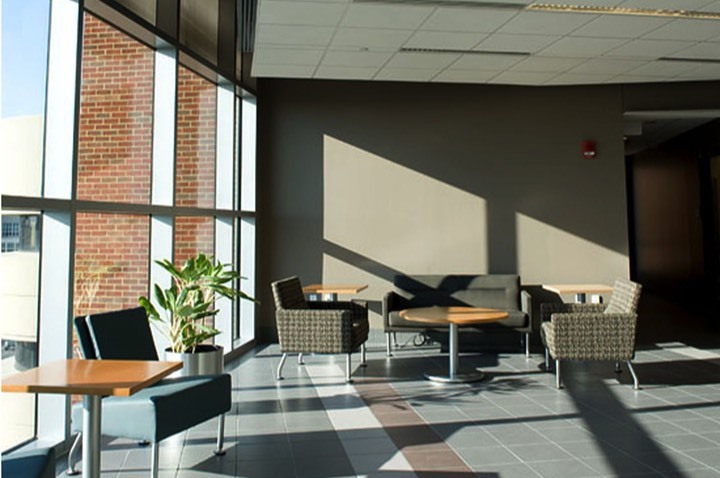 From a Sustainable Design aspect, special care went into the project to assure that the building complied with and exceeded established performance requirements. Energy simulations were utilized to validate planning assumptions, and revisions to the design were made accordingly. 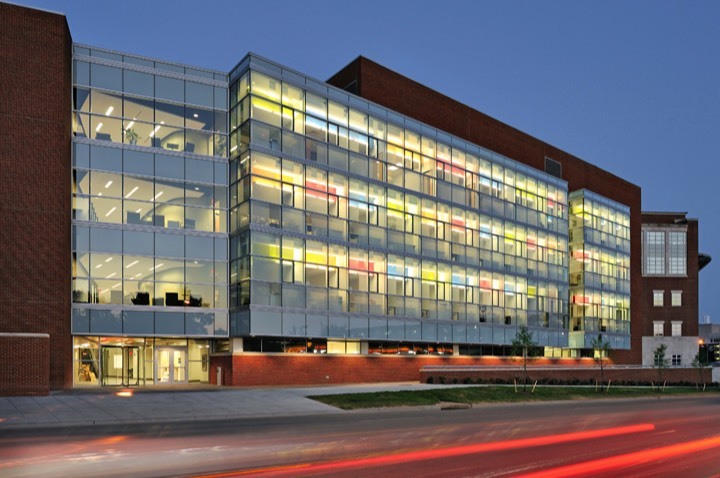 Additionally, the building envelope was re-configured, site orientation reinforced, and the ratio of fenestration were all optimized to meet the University’s goals for enhanced sustainability. To improve indoor air quality, all offices follow criteria for mixed mode mechanical and natural ventilation (via operable windows). 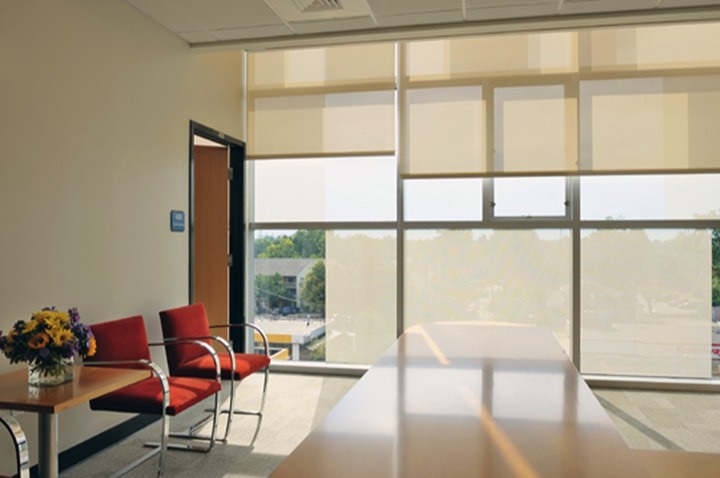 Low-Emitting materials with VOC limitations were specified. Individual and automated lighting and thermally controlled strategies were utilized. 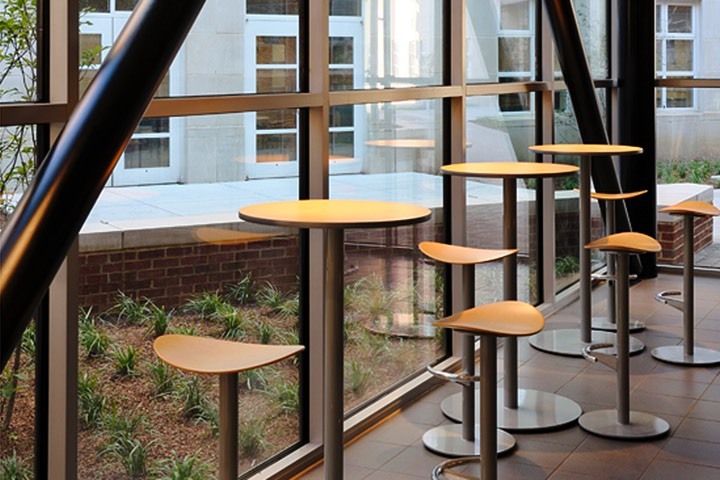 Natural day lighting became an important theme for all public and office spaces. 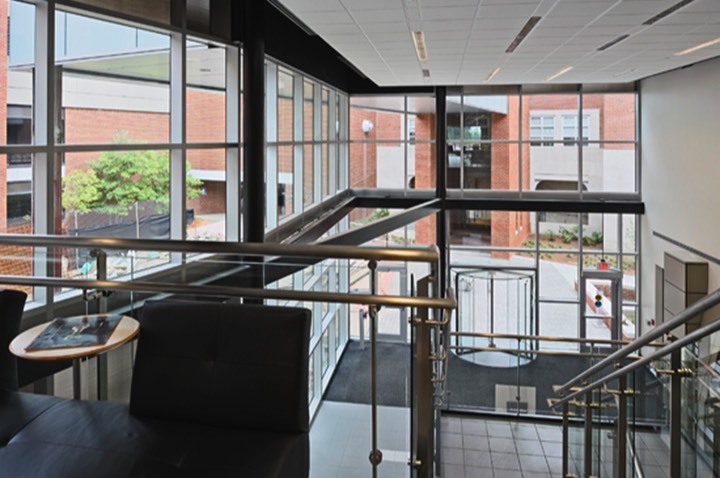 Two double-story atriums were utilized in lieu of a single four-story atrium, which saved a considerable amount of initial costs, plus the energy costs associated with maintaining a smoke evacuation system.